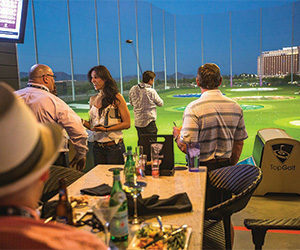 Golf gatherings adapt to the Gen Y approach – Adapting to the golf audience..
Are Millennials more interested in lattes in the lobby and video games in the sports bar than birdies and bogeys on the golf course? …Millennials desire a diverse, multi-sensory experience that transcends the traditional and oftentimes unimaginative golf event. …Donahue also suggests putting emphasis on creative food and beverage choices for a Millennials golf event. Time management is an extremely important issue to Millennials, and planners should consider offering shorter events such as three-hole, six-hole and nine-hole tournaments, putting contests, golf simulator competitions, night golf with glow-in-the-dark balls, trick shot demonstrations and ballroom golf competitions. … “You must be very innovative and work diligently to make golf appealing to Millennials because they won’t just show up like Baby Boomers,” Donahue says. Dawn successfully completes the Los Cobos specialist program!